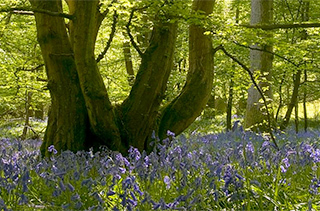 There are many World War Two pillboxes hidden in and around the nature reserve, but the two at the mouth of the river Rother are the most obvious. 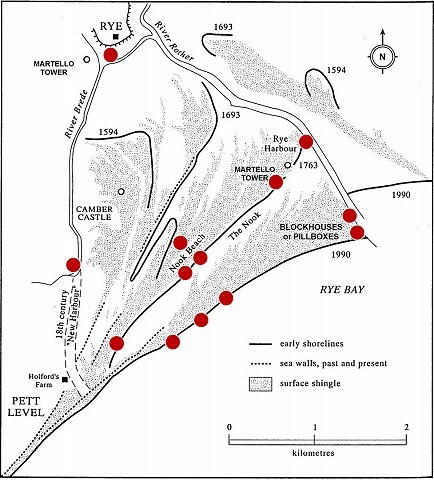 In the map below their locations are shown as red dots. 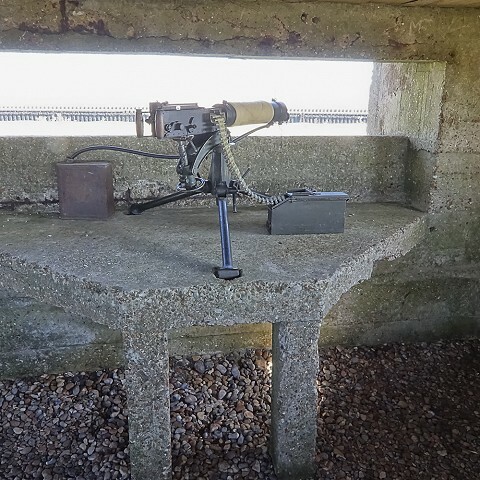 These pillboxes were designed to house Vickers machine guns, mounted on the concrete tables with their tripod legs in the depressions. 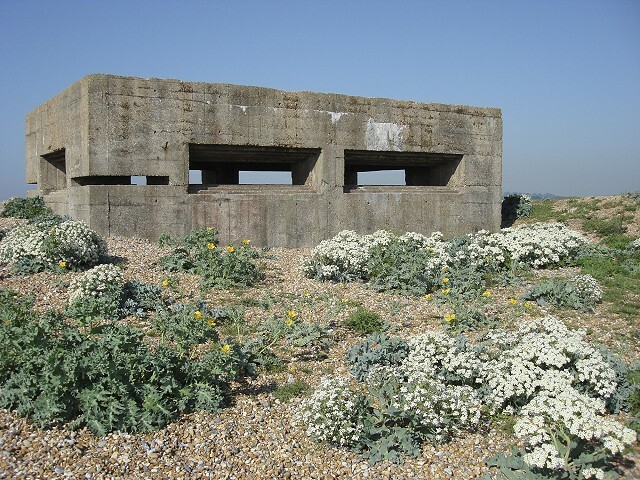 Find out much more about pillboxes by clicking here. Explore the inside of our pillbox with this 360 image. 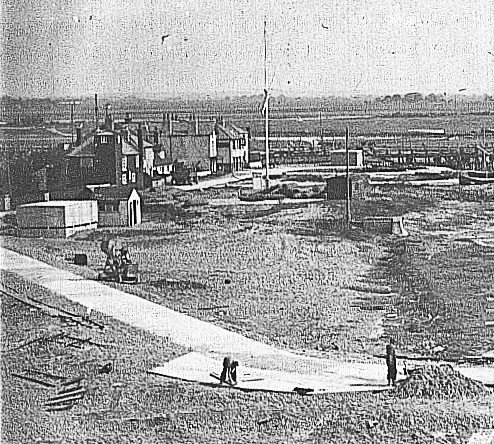 The image below shows two pillboxes in Rye Harbour village in 1946 when the concrete road to the river mouth was being built by Italian prisoners of war. 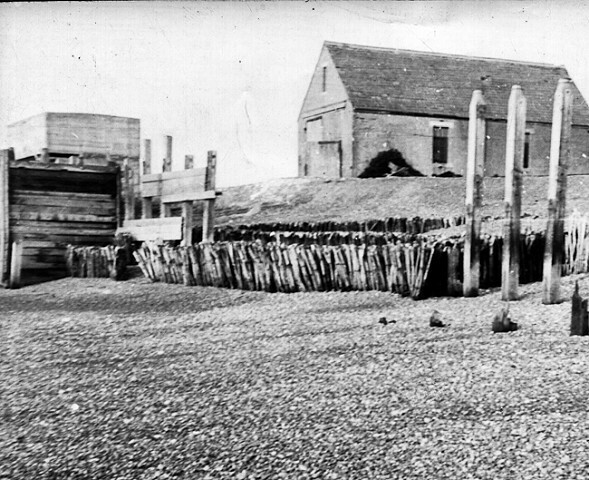 The image below shows a pillbox in front of the Mary Stanford Lifeboat house. The base still remains there.